Mark is a sophomore in biological engineering with a focus in biomolecular and cellular engineering, so he thinks cells are pretty cool and thinks he can make them cooler. As the 2015 president of the Biomakers, Mark spends most of his time worrying about things, forgetting about things, worrying about forgetting about things, and being reminded of things he needs to worry about (mostly by Casey). He dreams of starting his own purpose-driven biotechnology company and taking over the world (the two are absolutely in no way related. Nope. Not at all. Clarification: Mark is NOT planning to take over the world with his future company). If you were to ask the other Biomakers about Mark, they would probably say something along the lines of “Oh, Mark? Yeah, he’s alright I guess,” or other similarly roaring reviews. One of Mark’s favorite pastimes is existing, a hobby he picked up a few years ago and decided that he likes it enough to keep doing it for at least a little bit longer. Hailey Edmondson is a sophomore in Plant Genetics, Breeding, and Biotechnology, making her the token non-engineer on this year’s team. In her first year on the iGEM Team, she is enjoying a well-rounded summer internship experience, which has been instrumental in “making both friends and mistakes,” in the words of fellow intern Mark Aronson. Originally from San Diego, a city which everybody should visit at least once in order to get a personalized tour from Hailey, she enjoys the outdoors, spending time with friends and family, and baking a variety of sweet treats, which she may just share with you if you ask nicely. Her career goals include being a scent developer for the luxury candle company Yankee Candle, but she will likely settle for a career in scientific research in plant biology and biotechnology. James is a sophomore in Cell, Developmental, and Molecular Biology with minors in Spanish and Biotechnology. His interests are in consumer uses of synthetic biology and reincarnating the dead using black magic. Blood stone rituals as well as starring into the endless and empty void some call the sky are part of his daily routine. James loves books, food, and criticizing movies. His current plans for the future involve not thinking about it too much as that could change the outcome. Casey is a sophomore in Agricultural Engineering with a focus on Environmental and Natural Resources Engineering (ie, she wants to be an environmental engineer while earning one of the longest-titled majors). This is her first year on iGEM after three years of lifeguarding and teaching swim lessons. Currently hailing from Colorado (yes she knows what was recently made legal; no, you do not need to ask her about it or give a “knowing” look; yes, the mountains are very pretty you should visit), she has also lived in California (California girls come in beach tanned but also glow-in-the-dark pale with beautiful porcelain skin), Texas (stop making fun of it, it’s really not that bad y’all), and Georgia. She loves animals (see, above, environmental engineering), reading (see, above, engineering), swimming/scuba diving (see, in past and dive book, 10 years on swim team and multinational scuba dives), and eating fruit (see, in apartment, fridge half filled with watermelon, Fuij apples, Braeburn apples, red grapes, and bananas). She spends her time working, reading, practicing karate (it’s Key-Iy, not Hi-yah! ), hanging out with her boyfriend, watching movies in the cult-like environment of the iGEM team, and trying to cook without inflicting serious bodily harm or burning down the apartment (enjoying moderate success thus far). In the future, she plans to become an environmental engineer to fix environmental problems (possibly with techniques such as synthetic biology) and help the world get/stay clean “for [at least] ten minutes!” like Mr. Incredible. Arren is a sophomore in Agricultural and Biological Engineering (ABE… also known as America’s Best Engineers) with a focus in Cellular and Biological systems and a minor in Biotechnology. Arren is the current treasurer of Purdue’s iGEM team and has only lost his wallet once this whole semester. He has an interest in Synthetic Biology and plans to become a lead researcher in a lab (or possibly at a university) after slaving away his life to school. He is also an Orientation Team Leader for the incoming New Students of Purdue and can’t stop himself from dancing whenever the song “All Night” by Icona Pop plays. The cherry-on-top of Arren’s career would be to work on resurrecting prehistoric dinosaurs which, he claims, is “definitely not dangerous at all”. 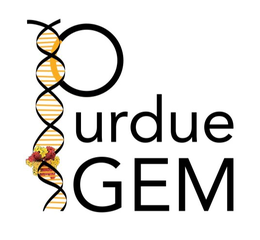 Helena is a co-director of Human Practices for the Purdue iGEM team. She is a Biology student entering sophomore year, currently doing research in Dr. Meng Deng’s lab with Notch Signaling in relation to human mesenchymal stem cells. She thinks stem cells are the best and wants to continue with Regenerative Engineering in the future. Helena is Cypriot Greek and loves cupcakes, donuts, and Diet Coke. Helena is also a Science Ambassador for Purdue and enjoys recruiting new students to dedicate their lives to science. She loves research and also medicine, and is hoping to pursue an MD-PhD in the future. One time, she met Taylor Swift. That was pretty awesome. Melissa is a Biological Engineering student entering her sophomore year. She is co-director of Human Practices Policies and Practices Human Practices, and has whiplash from the number of times iGEM changes its mind. While she finds spending hours in a lab extremely fun, Melissa also enjoys watching Game of Thrones, playing soccer, and reading Dostoevsky. She aspires to work for/start a company that works on creating sustainable energy solutions, and if that doesn’t work out, she will live her life as a happy hermit. Ryan is a freshman entering chemical engineering with a minor in biochemistry. This is his first year in iGEM and is excited to learn a lot through iGEM. He is involved in several other clubs including the American Chemical Society Student Chapter and the Purdue Outing Club. Ryan does not really know what he wants to do with a chemical engineering degree with a biochemistry minor, but is excited about exploring these areas of study. Ryan is a devilishly handsome freshman entering Biomedical Engineering in the Fall. As this is his first year in iGEM, he doesn’t really know what’s going on, but he’s going to roll with it or something like that. He enjoys curling up with a good book, then discarding the book to devote endless hours to programming a robot that is the devil incarnate sometimes difficult. He intends to pursue a career in orthopaedics and medical devices, and perhaps one day find out if his professor’s hair is real or not. Erich is a Genetics student entering his third year of Purdue education. Besides being the token Genetics major, he is also receiving minors in Creative Writing and Classical studies, two fields highly conducive to success in the field of biology. He hopes to one day have a career working in a bio-tech firm, working to advance the field of genetic engineering. Erich has a passion for television and cinema (his colleagues prefer the word ‘snobbery’), as well as maintaining an appetite referred to as ‘inhuman’ and ‘downright barbaric’. He also enjoys video games after a long day at the lab. Kate is entering her Junior year in Biological Engineering with a focus in biomolecular and cellular engineering. After she’s done with school (who knows when that will actually be BS, MS, PhD?) she hopes to land her dream job leading a Research and Development lab for a pharmaceutical company. When Kate is not in the lab, or in class, or doing homework she runs in a lot of circles really fast for the Purdue Track and Field team . Yes, she actually enjoys running long distances. In her non-existent free time she would like to hangout with friends, take naps, or watch the beloved Grey’s Anatomy. One of the many things she loves about Purdue is that you can ride the mascot without it being weird. Boiler up! Jill will be a sophomore in the fall entering Biological Engineering, specifically Cellular and Biomolecular. She hopes to one day be at the forefront of stem cell research, creating artificial organs. Future goals include saving the human race from inevitable self-destruction and finishing a shampoo and conditioner bottle at the same time. She enjoys making fun of reality television, reading in hammocks, and trying to not set smoke detectors off with her mad cooking skills. At Purdue, she is also passionate about Purdue Students Against Alzheimer’s (PSAA) and I2D2, a program teaching kids about engineering so that perhaps future generations can save us from being doomed for all eternity. And also because engineering is awesome. Suraj is freshman entering Biological Engineering with a specific focus in the Cellular and Biomolecular track. At first, he was hesitant on whether this major was right for him, but after spending time and working with his fellow iGEM family, he now realizes where his passion is and is determined to do the best he can to succeed in what he loves. Although extremely awkward to meet in the beginning, Suraj loves to make people laugh and is willing to go the extra mile to help out his friends and family in need. After all, he is happy when they are. Suraj enjoys cooking, binging on Netflix, and contemplating the vast complexities of our universe in his head (even though he may look derpy while doing it). Some of his special talents include not being ticklish, being a good listener, and being able to clap his hands at breathtaking speeds.